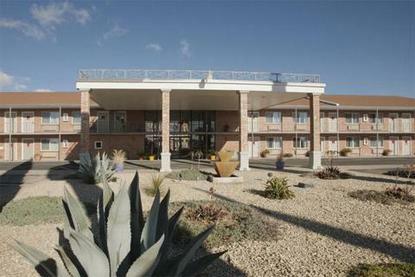 The Americas Best Value Inn in Las Cruces, NM is a newly renovated two story property with 50 Guest rooms and three Suites, overlooking a beautifully landscaped courtyard. With convenient access to I-10 and I-25, we are minutes from the city center, New Mexico State University, the Antique District, and the Historic Mesilla Plaza. All of our Guest rooms and Suites are furnished with a Microwave, Mini-Fridge, Cable TV with HBO, Wireless Hi-Speed Internet Access, Complimentary Local Calls, and Wakeup Service. We serve a daily Complimentary Continental Breakfast. Our Front Desk is staffed from 7:00am - 12:00 midnight for your convenience. For our business traveler we offer Wireless Internet Meeting Room and Fax and Copy Services. Coming soon, you will be able to relax in our brand new crystal clear outdoor Swimming Pool. You can also unwind in our BBQ Area, Exercise Gym, and Game Room. Our courteous and experienced Staff will make your stay with us a memorable and enjoyable experience.... .